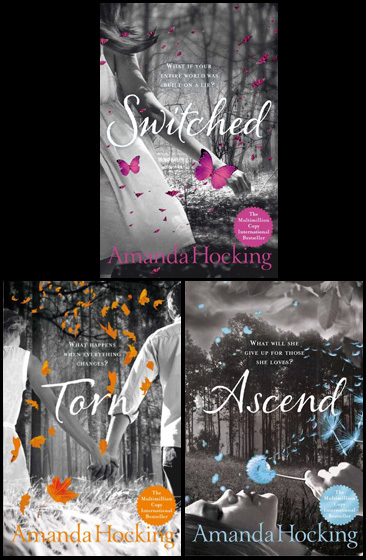 Just today I finished the last book of the Trylle trilogy by Amanda Hocking. I had been waiting for the last one for a while, a few months, so I read it much faster than I probably should have. In retrospect, I should’ve made it last longer, but then again it was also such an easy and fast-paced read that I could barely put it down. As any other trilogy it starts with the trouble of our protagonist, Wendy, and her less complicated life only to get much more complicated when she finds out she is actually a Troll. But not the ugly and gross kind that we think of troll, no, just a very grounded and earth-bound human with some superpowers of some kind in some cases. And just to top that, Wendy also discovers that her real mother is the Queen of these trolls and Wendy has to face the fact that she will one day be Queen too. The book are told from Wendy’s perspective and are great at conveying Wendy’s turmoil at adjusting to this new life with all the complications this brings about too. As we read on we follow her on her path to discover the real truth about herself and her unknown past, details of which are revealed very slowly over the course of the last two books. And of course, as any other fantasy trilogy there also has to be a love squander or love triangle, this has a combination of the two. However, the triangle doesn’t really start to take action until we get to the second book but before that there are plenty of other heated and romantic settings to entice the reader. This is another thing I like about this author, even though it is obviously a young adult trilogy, she is not afraid to go into detail in the romantic scenes, even when it comes to the bedroom scenes. I sometimes feel like young adult novels try to cover those things up too much, but when you think about it the kids get plenty of exposure to those kinds of things through television and Internet anyways, so why should literature be any different? If anything, I think literature might in some cases be a more accurate description of how things really are. Anyway, overall I really liked these books and there were easy and quick to get through and very suitable for a summer-by-the-pool read or something like that. So if you’re going somewhere sunny this summer, think about bringing this trilogy along with you to keep you company by the pool. On the top of a hill lies a castle buried in history. Centuries old, it guards a secret still unknown to man; which is how it must stay. Deep within the deepest dungeons lies a casket locked closed by a golden crest with contents unknown to man. It was placed there several hundred years ago with very specific reasons for keeping it safe. In a time of war it was deemed necessary for secrecy of the casket and only a selected handful of people were trusted by the Queen to guard the casket and the importance it represented. As the war went on, these men became victims of the gunfire and the secret died with them. Only one man survived with the knowledge of the casket. He took it as his personal goal in life to guard the Queen’s casket and so, once a year he went back to check on the casket, with no one knowing about his doings. As age took a hold on him, he passed the task and the knowledge of the casket on to his son. He then passed it on to his son, who did the same and that is how the secret has been in the family. And now I am passing it on to you. It is not entirely the same thing. I never got to pass the secret to your father before he left this world. Instead I am now forced to leave this important task to a young boy as age has grown weary with me. I trust you to uphold the family secret and guard the casket till you are forced to pass the knowledge on to your son or grandson like I’ve done. Over by the mantelpiece you will find a small wooden box holding a rusted silver key. That is the key to the dungeon holding the casket. In the box you will also find a map guiding you to were the casket is hidden. It is nearing the time of year where I would go check on the casket, but this year and forth you must do it. It is a job that requires stealth and trickery to get to the dungeon. Other people are going to the Castle nowadays too, and we must not be noticed. It is very important you remember this. Do not be noticed and do not open the casket. The old man closed his eyes to rest while the young boy went to get the wooden box of the mantelpiece. Now, the majority of people know not to tell a young boy not to open something never meant to be opened because he will consequently want to open it even more. As the young boy weighed the old map and key in his hands he contemplated how to get into the castle without being seen. He went under the cover of night, pocketing a flashlight along with the map and key. Finding the entrance to the dungeons was easy, but navigating from there became harder. Eventually he came to a half in front of an old-fashioned padlock. Inserting the key he heard it click and he entered with the lit flashlight. Down some steps, hidden in the corner of the room he found the casket, just like his grandfather had told him. Kneeling down he touched the ancient casket and the temptation to open it only grew with each caress of the surface. The crest keeping it locked was solid gold and cold from the damp dungeon. The boy knelt down and took out the iron bar he had been hiding in his pocket. With a deep and doubting breath he poised the iron bar and pushed. A crack echoed through the dungeon as he broke the crest and air sealed in for hundreds of years whizzed out the creaking gap in the casket. Exchanging iron bar for flashlight, the boy steeled himself and then opened the casket all the way. A loud gasp escaped his lips as the glare of the treasure gleamed up at him. Gold shimmers reflected everywhere in the dungeon, and the young boy was awestruck without knowing what to do next. Meanwhile, another place in Edinburgh his grandfather left out a final sigh without ever getting to know the big secret his family had been guarding for all those years. But then what is to come next? Due to the lack of writing on my own part I decided to write a short recommendation, after I was recommended the books by a fellow blogger (you know who you are). I will try to write this as spoiler-free as possible, but I do apologize if I didn’t succeed, but now you have been warned. 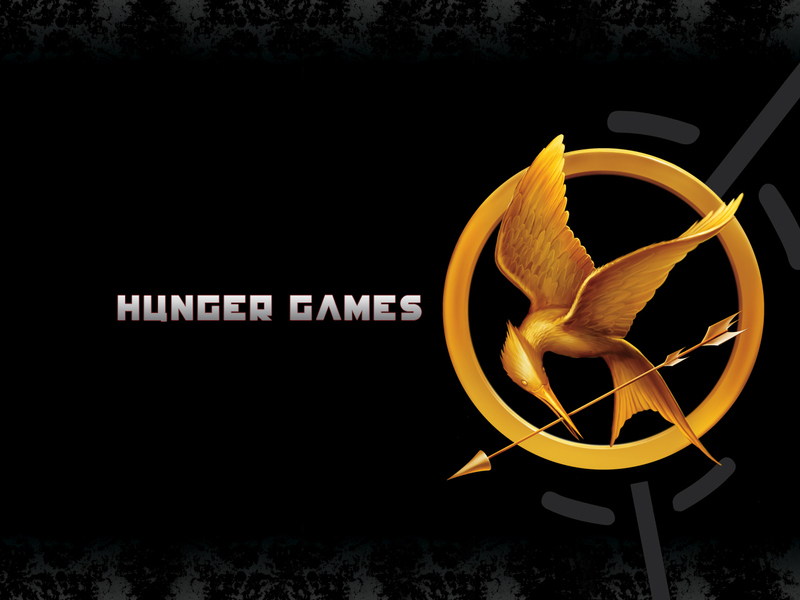 I just recently finished the Hunger Games trilogy by Suzanne Collins and I must say the reviews of the trilogy kept to their word. It truly kept my hanging by every page by every chapter. The first book starts out by introducing a somewhat corrupt future where oppression is a much abused way of keeping people in check, and even more gruesomely done, it is upheld by enlisting children to slaughter each other for other people’s amusement. I think at first hand you think the idea brutal and horrific that was how I viewed it and every killing (because that is unavoidable) is even more brutal than the last one. You can’t help but empathize with the character Katniss Everdeen, who continuously seems to think of everyone other than herself. Yet she manages to survive for the course of three books. It is funny how some books tend to be on your to-read-list for several weeks, months, sometimes even years befor e you get around the reading them. This trilogy for example had been on my list for at least 6 months before I pulled myself together and read them. A reason that held me somewhat back, was the review by Stephenie Meyer on the cover, and though I admit I have read the Twilight books, her recommendation didn’t say much for it on my part. Don’t get me wrong, the Twilight story was a great one but that is as far as it goes, story-wise. So a review from Stephenie Meyer didn’t vouch for much in my books. It wasn’t until after a warm recommendation from our fellow blogger (you still know who you are), who said they had consumed three or four days of her life, that it lead me to believe there must be something good about them and I decided to give them a chance. Honestly, I believe my boyfriend found me slightly irritating at some times because I just had to read the next chapter, I simply had to find out what would happen next. This was also partly because Collins manages to write nearly every chapter as a tiny cliff-hanger, leaving you wanting more. Another reason that pushed me to read the books now was the fact that just like every other piece of fantasy fiction going around this is meant to be adapted to the big screen in the spring of 2012. I figured if I started now I would have plenty of time to finish the books before the films came out, turns out I was right. But just like every other piece of fiction that has been adapted to the big screen it has a large amount to live up to, which I think goes without saying if you decide to read the books, which, if you choose to, you should do before the film. As I always wish to do before any film adaptation. Once, there was a frog living with his large family of frogs nearby a small pond. Every day all the frogs would jump out of the water, only to jump right back in to the water again. All frogs, except one. He would simply sit by the pond and look as all the rest of the frogs with a sad expression upon his green face. When his father and brothers invited him to the play of jumping in and out of the pond he would croak very quietly that he did not feel like it. His father and brothers did not pester him about it more pressingly, though they kept asking him every morning if he wanted to come with them, and every morning the frog told them no. None in his family knew his secret. Every night he would sneak out of his little frog bed, creep along the side bank of the pond to the clearing on the other side. Here he would practice. For this particular frog could not jump. He dared not tell this secret to anyone, for fear of being laughed at. So, in order to prevent this, he sneaked out each night to practice his feeble jump. But no matter how much he stretched and stretched before attempting to jump across the clearing, his legs would not bend correctly and lift him of the ground as all the other frogs did. Despite many years of training he had still not mastered the art of jumping, and you would think it would come natural to him, being a frog and all. So, again that night he would return to bed with a sad heart. Sure enough, his father and brother asked him to jump with them the following day too. But instead of sitting by the pond and looking enviously as the other frogs, he crept away deeper into the forest. Here he found a small boulder, on to which he climbed, for of course he could not jump on to it. And here he began to cry. He wept and wept till he felt empty of tears. By then, a young girl had sneaked up behind the crying frog and she felt sorry for the tiny creature. “Why do you cry little fellow?” She asked and the sound of her voice made the frog start and almost fall of the boulder. He clambered back on to the boulder and told the girl why he was crying. “Well, maybe I can help you.” Said the girl and she scooped up the tiny frog. With the frog in one hand she went to another pond deep in the forest. She put the frog in the water and told him to use his legs as if he were on land and tried to jump. This made the frog scoot through the water, back and forth, faster and faster. The girl then picked the frog out of the water and told him to do the same on land as he had done in water. But sadly it did not prove to work. The frog began to weep again. The girl picked him up and bade him not to cry. But the frog could not stop. He told the young girl how he was the only frog by the pond that could not jump. The girl told the frog not to fret; she would return the next day and try to help him again. That night, for the first time in a long time, the frog did not sneak out to practice his jump. The girl kept her promise and returned the next day with two small balls made of rubber. She tied these to the frog’s legs and asked him to try again. The frog had never been happier than he was now. He bounced and bounced higher and higher in the air. As high as the girl was tall. He thanked the girl a plenty and jumped back to his family by the pond. There he showed off his new ability to jump as high as he might. But sadly the strings tying the balls to his feet came apart and the frog fell to the ground with a loud plop. Just as he had feared, all the other frogs laughed at him. With tears streaming he ran to the other pond. The girl found him there. In an attempt to comfort the little frog she bent down and kissed his head. By a stroke of magic or pure luck, the frog turned into a young prince. “That is why you could not jump. You are a prince!” Exclaimed the girl in a voice of surprise. The young prince thanked the girl heartedly and kissed both her cheeks, which in turn flushed scarlet red. The minute the frog had turned prince, the memory of his frog family had left him and he remembered his real family, who must have missed him in the years he had been a frog. He asked the girl for one more favor, to help him find his family and she obliged him in much eagerness. In return, the prince took the friendly girl to be his bride in a matter of few years. For who could object to a girl willing to help a frog who could not jump?